The outlet laid off “more than a dozen,” staffers this week and now employs less than 50 people. Mismanagement, falling advertising revenue, rock-bottom morale and rapidly declining web traffic have caused Beck’s empire to struggle in recent years. Beck is reportedly giving away personal possessions from his office, further stoking chatter he will soon extinguish TheBlaze. The radio host revealed on Thursday that he’s selling his Dallas home over concerns the United States is headed towards an economic downturn. “I am putting my home up for sale because I fear this economy as we are headed for trouble and I don’t want to be sitting with a big huge house,” Beck told his listeners. TheBlaze founder’s troubles exploded into the spotlight last year amid a nasty, public falling out with host Tomi Lahren. The political commentator was suspended indefinity from TheBlaze and was temporarily blocked from her social media accounts after voicing pro-choice sentiments. Lahren filed a lawsuit against Beck for “wrongful termination,” accusing her former boss of firing her for her speech. Ten days later, TheBlaze founder countersued Lahren, alleging the then-24-year-old was a disaster to work with. “Lahren quickly made herself into one of the most divisive people in media both to the general public and within TheBlaze organization,” Beck’s lawsuit said. The two parties reached a settlement on May 1. In May, the radio host endorsed President Donald Trump’s 2020 re-election bid. Wearing a red “Make America Great Again” hat, Beck said his decision to support President Trump was prompted by the“dishonest and corrupt” establishment media’s twisted coverage of Trump’s remarks on MS-13 gang members. 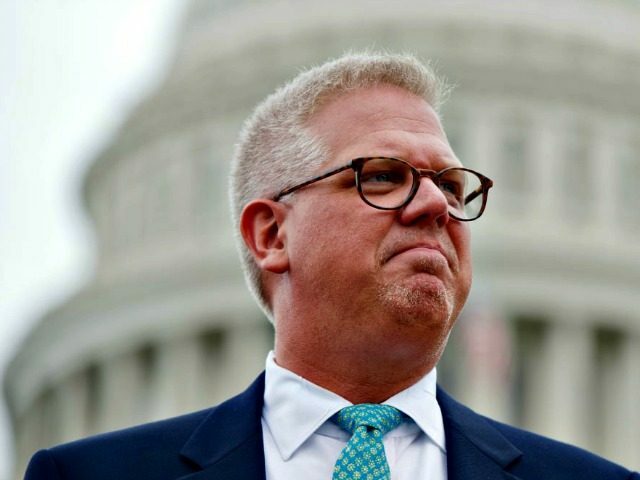 “Media, if you can get me, Glenn Beck, to do this,” the radio host said.